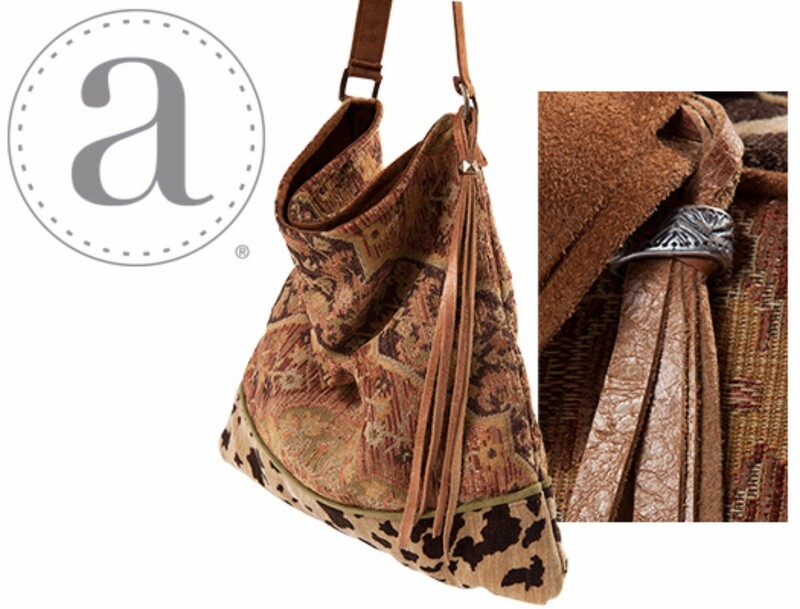 The Atenti Soft Tote in Heritage - Earthy muted colors create an heirloom effect on this soft jacquard. Complemented by an animal patterned chenille and handmade gathered leather thongs decoration. This soft, light, fresh tote has a magnetic closure and is fully lined in animal print cotton with a zippered pocket and a divided pocket with a cell phone slot. Single 17" strap.